Outrageous Outreach: Our children learn so much and are very aware of the world around them. 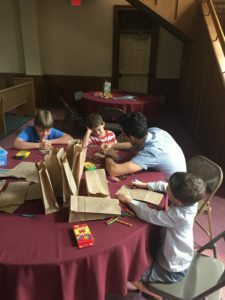 As they grow in their faith and ministry, we provide a once a month opportunity for all our elementary children to participate in and learn about our missions. We learn about the needs in our community and how the church and our ministry partners can help. SPC Youth: We love our youth and hope that they continue to grow in their faith and in community. 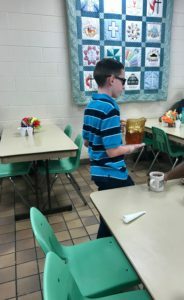 Our youth meet each Sunday morning for Sunday School at 10am in the Library. We join together with the youth from Jamestown Presbyterian Church from 4:30pm to 6:30pm (dinner included) for Sunday evening youth group. 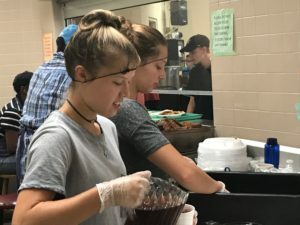 Each fourth Sunday of the month the youth serve at Potter’s House at Greensboro Urban Ministry.